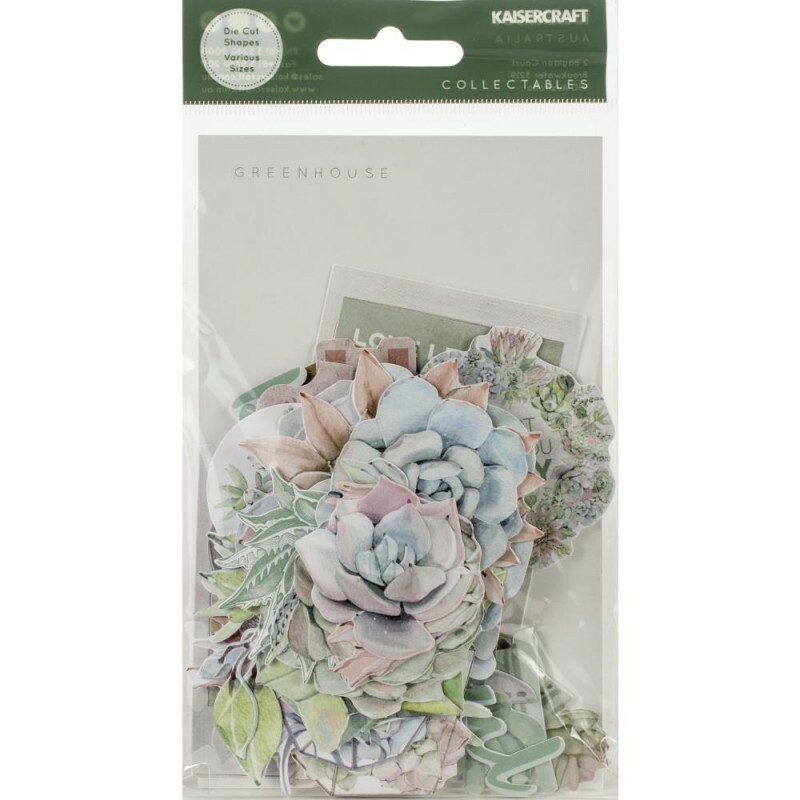 Our on-trend Greenhouse collection is a plant lover’s dream. Succulents, cacti, terrariums of all shapes and sizes playfully dance across pastel watercolour pages while inspirational quotes will have you living life in full bloom! Missing something? 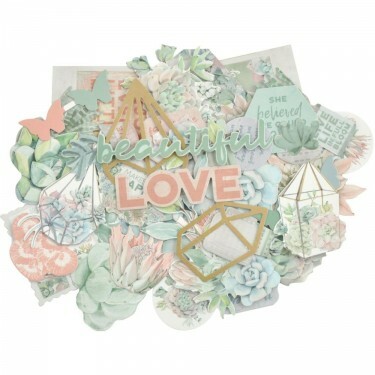 This embellishment set includes over 40 die-cut shapes including images, journaling blocks and sentiments all in the beautiful colours & patterns of the Greenhouse line.